Valmont was tasked with creating a microbrewery and bistro – a first for South Sydney – with a focus on promoting boutique beers and local produce through engaging space and display. The brief extended beyond simply designing the bar and restaurant spaces, as the design team was to collaborate with the head brewer to plan and bring to life an onsite brewery, which was to become the focal point of the two-level space. With a large void and mezzanine space, the building was perfect for the design and installation of copper and stainless steel tanks and fermentation equipment. The overall aesthetic was designed to create a warm, rich space with natural and earthy elements. The intent was to reflect the natural elements that are an integral part of the brewing process, while also hinting at the raw state in which the beer is made onsite. A project full of collaboration and willing artisans made for a steep learning curve for the Valmont team who rose to the challenge to deliver a great outcome. 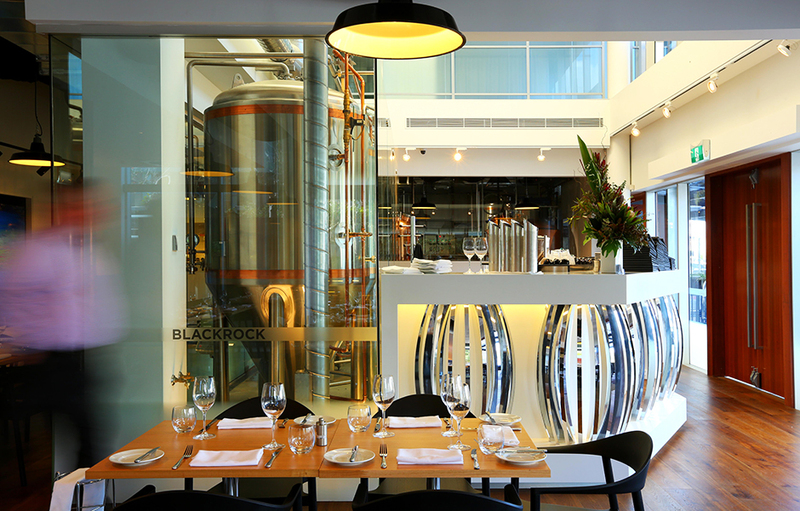 Blackrock Brasserie is Sutherland Shire’s first restaurant and microbrewery – a place where everything and everyone comes together to enjoy great company and exceptional food teamed with superb beers. 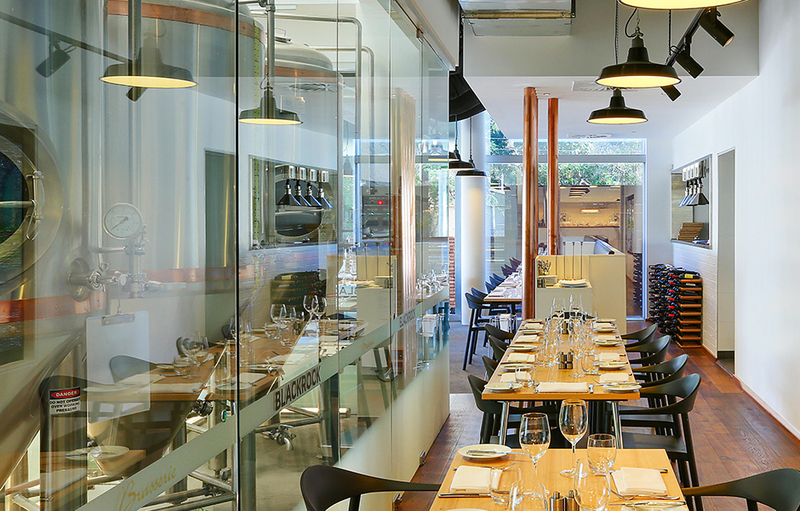 Established with an impressive level of care and attention by the Cochrane family, Blackrock Brasserie is a culinary hub built around the art of beer-making. Good food done exceptionally well is the aim, with meals that are unique and full of flavour. Beers are not an afterthought or a gimmick – rather the framework upon which the dining experience has been crafted.